The scientists showed how progenitor cells that form the kidney's filtering units, called nephrons, mature into entirely different types of cells based on when they reach the scene of nephron formation. The results appear today in Developmental Cell. 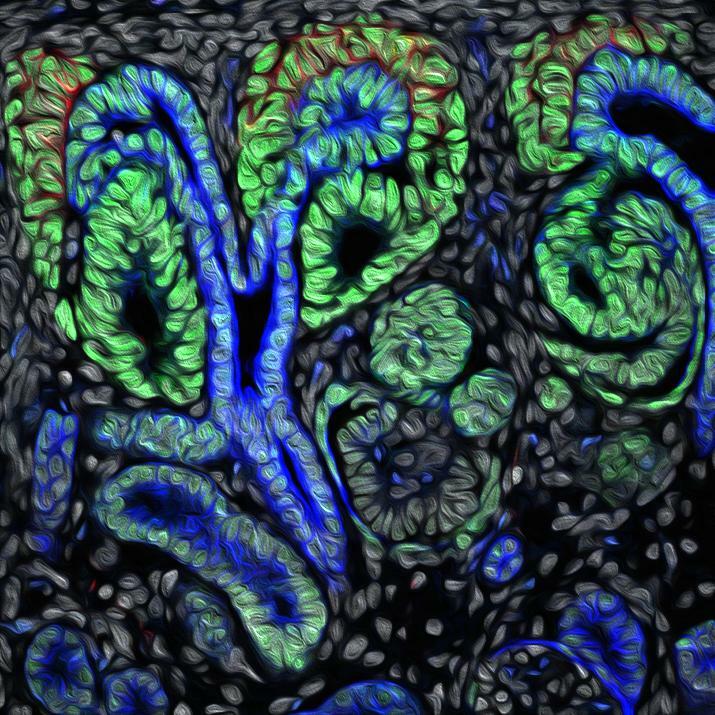 "By studying normal human nephron development, we're gaining important information about how to replicate this intricate process in the laboratory," said Andy McMahon, director of the Eli and Edythe Broad Center for Regenerative Medicine at USC and Stem Cell Research at USC. "The hope is that laboratory-grown nephrons can be used to further study the process of development, screen potential therapies to treat disease, and eventually provide the building blocks to assemble functional kidneys for transplantation into patients." Specifically, it takes about 1 million nephrons to form a human kidney. The scientists observed that every time one of these structures forms, the nephron progenitor cells (NPCs) gradually commit to becoming various mature cell types and joining the developing nephron. NPCs that arrive early within the nephron start to differentiate and become the "tubule," which controls the reabsorption of important compounds back into the blood and carries urine away. NPCs that occur late develop into the "glomerulus," the structure that filters the blood. "Timing is critical in determining the type of mature cell that each progenitor will become," said Nils O. Lindstrom, a principal author of the study and a researcher at the stem cell research center, which is part of the Keck School of Medicine of USC. Working with scientists in the Molecular and Computational Biology unit at the USC Dornsife College of Letters, Arts and Sciences, the scientists developed new techniques to analyze and interpret what is known as "single cell RNA sequencing data." Single cell RNA sequencing is a novel technique that allows scientists to break apart whole tissues and organs and observe gene activity in every cell. Using this approach, the team documented how NPCs turn into intermediate cell types with specific gene activity, which identifies them as the precursors to particular mature cell types.